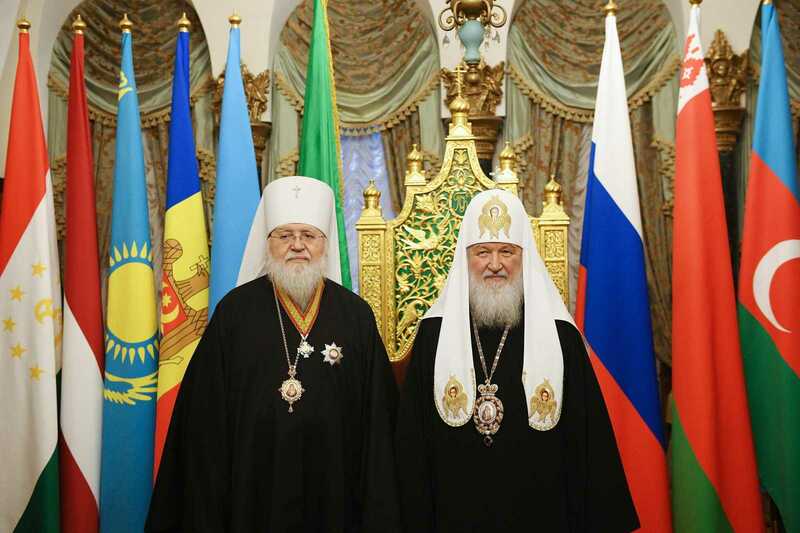 On Friday, February 1, His Holiness Kyrill, Patriarch of Moscow & All Russia, presented ecclesiastical awards to an array of hierarchs of the Russian Orthodox Church in the Throne Room of the Patriarchal Residence of Christ the Savior Cathedral in Moscow. 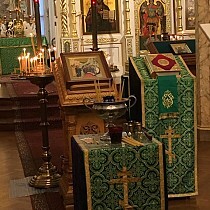 Before the awards ceremony, which was attended by permanent members of the Holy Synod, the Primate of the Russian Orthodox Church addressed those gathered: "Thank you, brethren, for supporting the Patriarch, for your solidarity with him, and for the very constructive discussions of important topics during the work of our Synod. I think none of the things that today give such feelings of hope and joy to people would have been accomplished in our Church, if it were not for these decisions, which we have together resolved." His Holiness then presented ecclesiastical awards and gramotas to hierarchs celebrating momentous occasions. 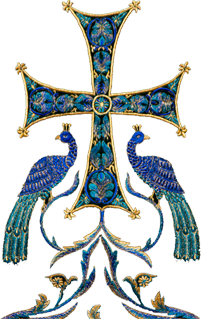 For his fervent archpastoral labors and in honor of his 70th birthday, Metropolitan Hilarion of Eastern America & New York was awarded the Order of the Holy Right-Believing Prince Daniel of Moscow, 2nd Class.